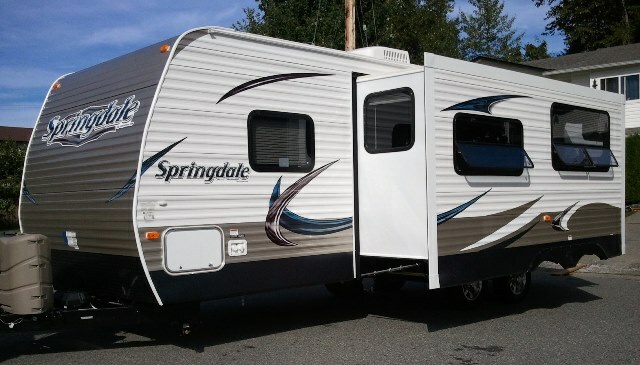 This beautiful new 2013 Special Edition Springdale has it all. 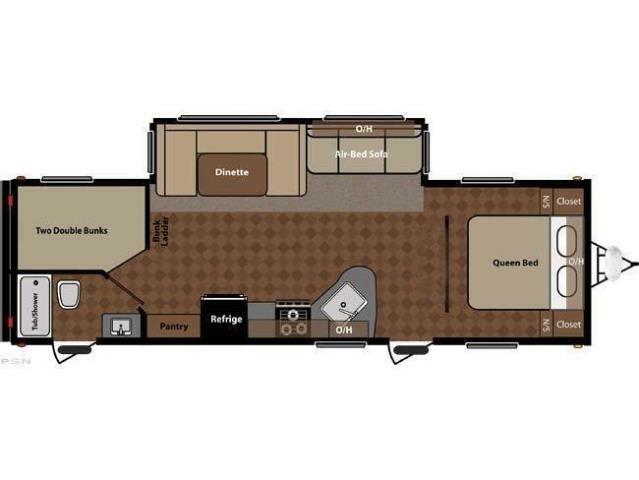 Large fold down dinette/sofa slide out, dual entry (one to rear bathroom), front master with queen walk around bed, fold down sofa bed, galley kitchen, two double bunks, full bathroom with tub and shower, and beautiful residential style decor. 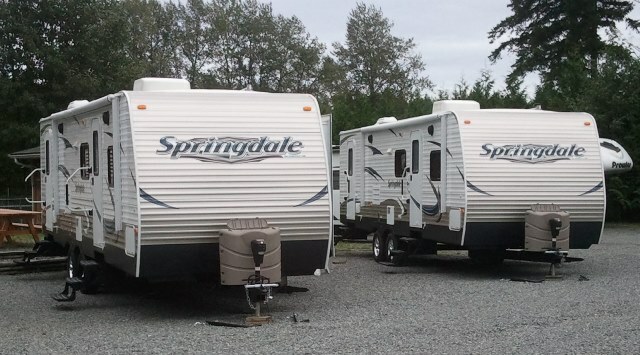 Other features include Special Edition Package, am/fm/dvd cd player, indoor/outdoor speakers, 13.5 BTU Air conditioner-ducted, microwave, tub surround, cable tv hook up, exterior shower, electric awning, and 32" LED TV. 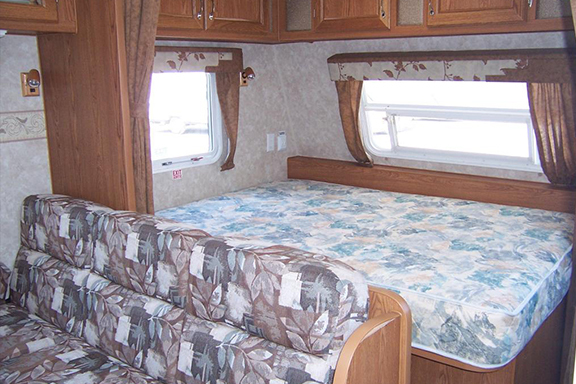 The parents get the privacy with the queen bedroom and the kids get the sofa bed. 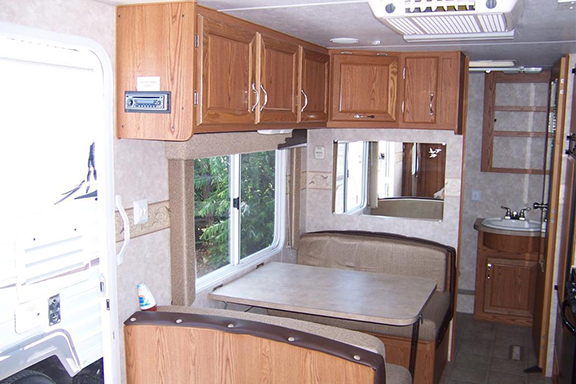 The main area is fully equipped with a kitchen and living area with the sofa bed. 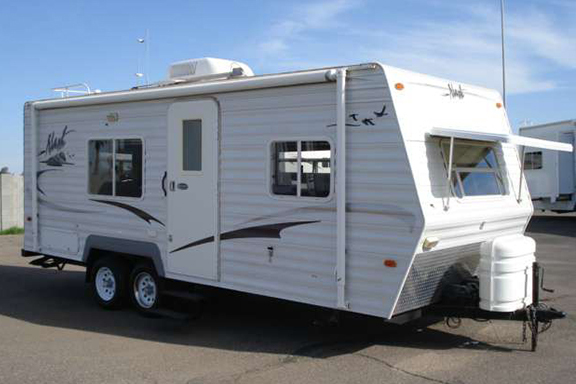 Double door fridge, 3 burner range, queen bed, bathroom with tub/shower, air conditioning, AM/FM/CD player, manual awning & outside shower. 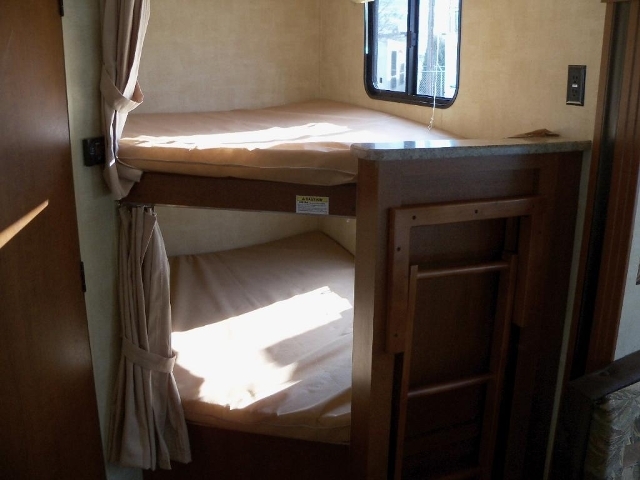 The parents get the privacy with the queen bedroom and the kids get the sofa bed. 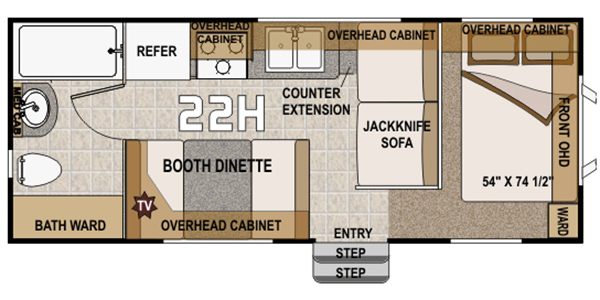 The main area is the fully equipped with a kitchen and living area with the sofa bed.